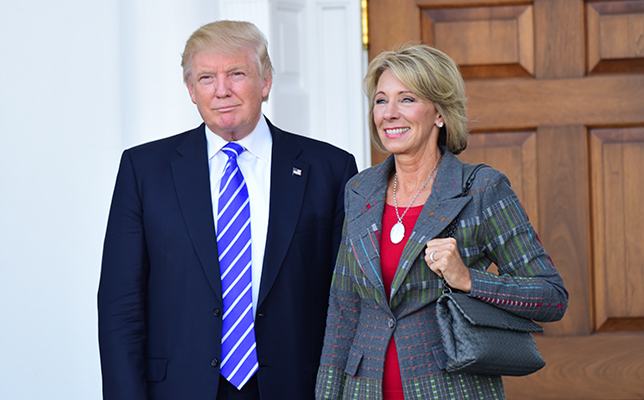 The confirmation hearing for President-elect Donald Trump’s pick for education secretary, Betsy DeVos, is taking place this Wednesday, where she will answer questions about her plans on key education policy issues — ranging from the implementation of the Every Student Succeeds Act to charter schools and voucher programs. Common Sense Kids Action, the policy arm of Common Sense Media, issued a letter last week to the United States Senate Health, Education, Labor and Pensions Committee urging it to question her stances on ed tech, digital citizenship, privacy and early learning. What investments is she planning to make for the use of education technology in public schools to ensure children learn to be local and global leaders? How will she promote equity in public schools in terms of access to the three pillars of education technology: high-speed connectivity in every classroom, access to learning devices and digital tools, and high-quality training for students and faculty on the use and integration of technology for learning? How will she ensure all kids have access to digital citizenship education? What role will the Education Department play in preparing school leaders (principals, teachers and library and media specialists) on the implementation and use of tech in the classroom? What changes will be made to FERPA (Family Educational Rights and Privacy Act) to better protect children and their families in the digital age? What does DeVos believe the department can do to better serve young learners with special needs? The hearing will take place at 10 a.m. Wednesday, Jan. 11 and will be live-streamed on the HELP Committee site. A PDF of the letter is available on the Common Sense site here.